Individual and timeless, these charismatic designs, influenced by patterns from around the world, add rich textures to any interior space with their individual, one-of-a-kind allure. The tidal beauty of Monterey Bay flows in this design of shifting sand and sea-smoothed pebbles. 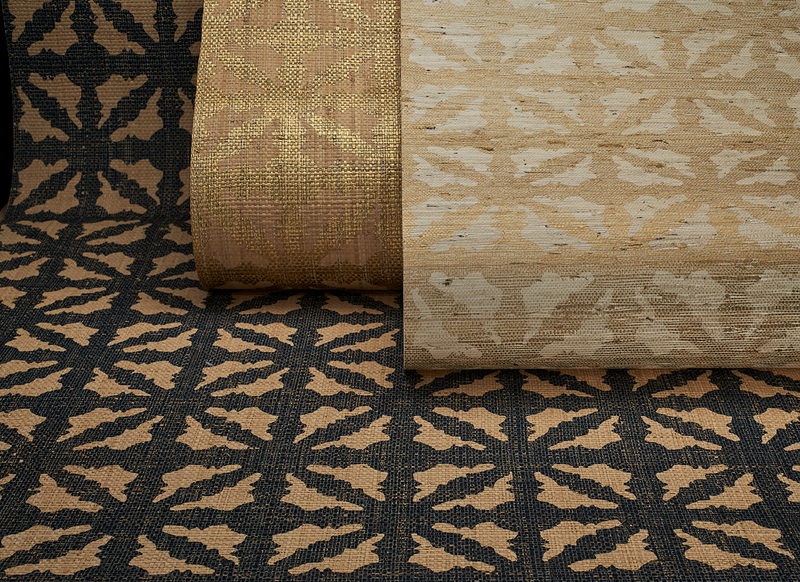 The application of digital printing on traditional grasscloth makes this a contemporary take on a classic wallcovering. Inspired by that fleeting moment when the sea mist-covered boardwalk mirrors the sunset, Seaboard reflects this elegantly subtle shimmer in unique designs using fibers of abaca and hand-stripped water lilies. Sailboat-dotted inlets and ocean sunbeams inspire this eye-catching design. Hearty bac bac fiber is handstripped, handwoven, backed with colored paper, then washed with white or metallic pigments. 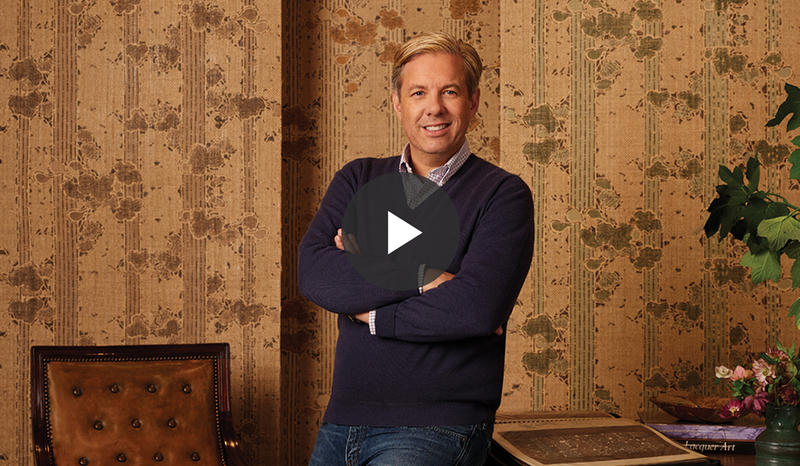 This artisanal process creates a dimensional wallcovering of extraordinary character. Elemental marine hues wash over this classic handwoven raffia weave with clear lacquer finish for subtle sheen. A contemporary classic that invites the outdoors in. Mineral browns and seafoam greens, swirl and eddy in energetic motion over handwoven raffia with exposed micro knots. A pearlized glaze adds subtle glimmer to the weave and lends instant radiance to a space. The Utah Canyonland is a revered place devoted to the exploration of art, nature and cultural heritage. Constructed from tightly woven paper fiber, the color palette is a striking combination of variegated earth tones with gold metallic overlay. The spectacular color display of Montana’s open ranges is translated into this vigorous textural weave of jute and linen. Exposed knots and striated sagebrush colors contribute to a strong linear design. Resembling reflective waters of a river winding through a city, the Riverfront series is highlighted by golden metallic threads interwoven within soft white and silver abaca. Drawing inspiration from the golden tones that ignite the lip of Lake Tahoe’s snow-lined shores, this series’ blended weave of gold metallic threads into a woven paper backdrop encapsulates Tahoe’s stunning late-winter evenings. Windswept seas and rugged shorelines are nearly palpable in the weaves of the Santa Lucia series. Each pattern gracefully infuses visions of cleansing mists, wild bluffs and coastal skies into any design. An energetic metropolis is nestled between the volcanic peaks of the Cascade Range and the shimmering waters of the Puget Sound. Fresh and dynamic, these weaves embody the beauty of the Pacific Northwest. The High Desert series combines the stark beauty of the back country with the tenderness of life that thrives there. Striated, textured and dramatic, each weave exudes the warmth and character that draws people to the desert. The hand-hewn weaves of the North Estate series provides walls with a cultivated and distinct patina reminiscent of fertile, sun-dappled valleys draped with vine-ripened fruit. 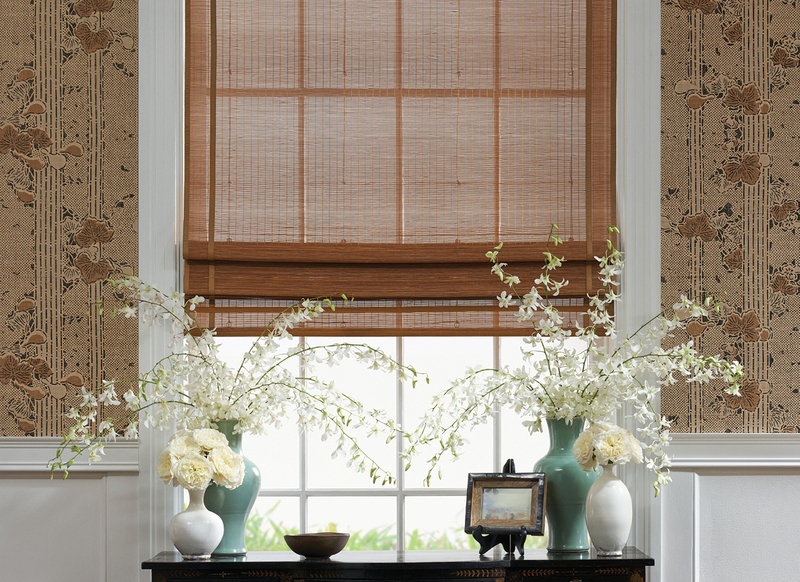 The Colonial series recalls the classic elegance of traditional Southern style. 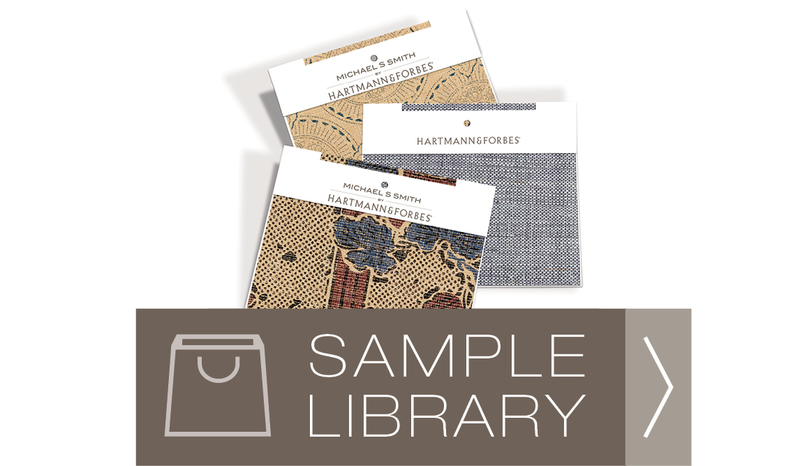 Soft, muted hues of nature combine with a delicate pattern to create a new level of refinement in wallcoverings.